Imagine spending an entire day without hearing any music. How would that feel? While music greatly influences our way of living, is it also capable of helping presenters connect with their clients? Music is everywhere. For some people, hearing instrumental or lyrical songs that appeal to their emotions lightens their mood. When a musician performs onstage, they express both the melody (vocal tone) and lyrics (words) to come up with a beautiful and memorable song. Through playing instruments and singing, they openly express their inner longings to convey what they want the crowd to feel. It’s an effective way of establishing a good impression and building good rapport. This works the same way in a professional presentation. To make your pitch sound catchier, deliver with a conversational tone when engaging your audience. Your content should also be beneficial and powerful to make it worth remembering. Through its natural appeal, public speaking can learn a thing or two from music’s ability to build connections and establish relationships with its listeners. Let’s review the other benefits of music before incorporating it to your pitch. Music not only affects the way presenters deliver their speeches, they also work in our normal routines and daily interaction with others. It influences our emotions, depending on what type of music (upbeat, slow, classical) we usually listen to. According to The Accidental Communicator, music and public speaking are deeply connected. Learning how music impacts your speech gets your audience’s attention and keeps them interested, giving you power that convinces them to listen. Before reaching your goal, however, it’s important to know how getting physically and mentally prepared contributes to your success. Just as athletes, singers, and actors practice before starting their tasks, speakers should also rehearse to enhance the delivery of their speech. Skipping this phase may result in ineffective delivery and performance. This is why you need to accomplish this stage to successfully present to the crowd. Deep breathing, muscle stretches, and vocal warm-ups are only a few of exercises that you can do during the preparation stage. These can help boost your energy and make you fit to accomplish your tasks and activities. Only then can you begin applying these three musical techniques to your pitch to successfully connect with your audience. This musical term is an Italian phrase meaning “stolen time” and refers to a certain speed or tempo required by a song. It determines how slowly or quickly instruments should play the music. Rubato can be classified as speech rate, which refers to a person’s speed in speaking and delivering his words per minute. Vary your speech rate from time to time, depending on what points you’re trying to emphasize. You can start doing this by preparing and conducting regular rehearsals before the big day. This will enable you to keep track of and manage your time wisely. Speaking slowly also generates attention and interest while discussing your main points. But it doesn’t mean that speaking quickly isn’t that effective. However you choose to speak, it’s more important to practice how to speak clearly to prevent your audience from misunderstanding your concepts and ideas. In terms of music, vibrato is a pulsating effect which regularly changes the singer or an instrument’s pitch. It’s often used to express and highlight emotions through sound variation and amplification. Vibrato can be referred to as tone of voice. Observe someone who doesn’t vary his tone and maintains his monotone voice throughout the presentation. How does it sound? Monotonous speeches can bore your audience, losing their interest to pay attention. To avoid this, study your pitch by heart to help you pinpoint some parts that require a change of tone. If you want to influence your audience to act, you can use a powerful tone to make it more convincing. If you’re discussing tragedies or serious events, you can vary your tone by speaking gently. As a presenter, utilizing this technique helps you convey your message when telling emotionally-charged stories. This allows you to control how you sound, letting your audience internalize your message and feel the right emotions. This Italian phrase means “to lean upon,” making a certain note to sound more exaggerated, resulting in more powerful music. Appoggiatura is similar to the attractive words used in poetry and speeches. Since presentations look more appealing with images that strengthen the subject being discussed, this technique allows the presenters to choose their words that let their audience use their imagination. Research shows that whenever creative stimuli like these appeal to an individual’s right brain, they’re more easily convinced. 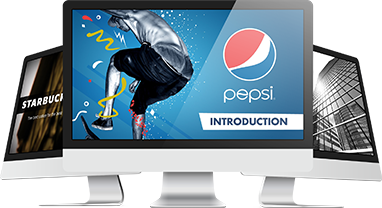 Add descriptive words by incorporating vibrant colors and images in your message to win the audience over. Musical techniques have the power to let you connect with your audience more effectively. Just like live concert performances, the audience has their own preferences and expectations. Your job is to determine how you can meet them in a way that touches their deeper level of emotions. Start applying and practicing the three techniques of rubato, vibrato, and appoggiatura the next time you present, and you’ll definitely have audiences remembering your pitch even long after you’re done giving your presentation. To help you with your presentation needs, let our SlideGenius experts assist you!